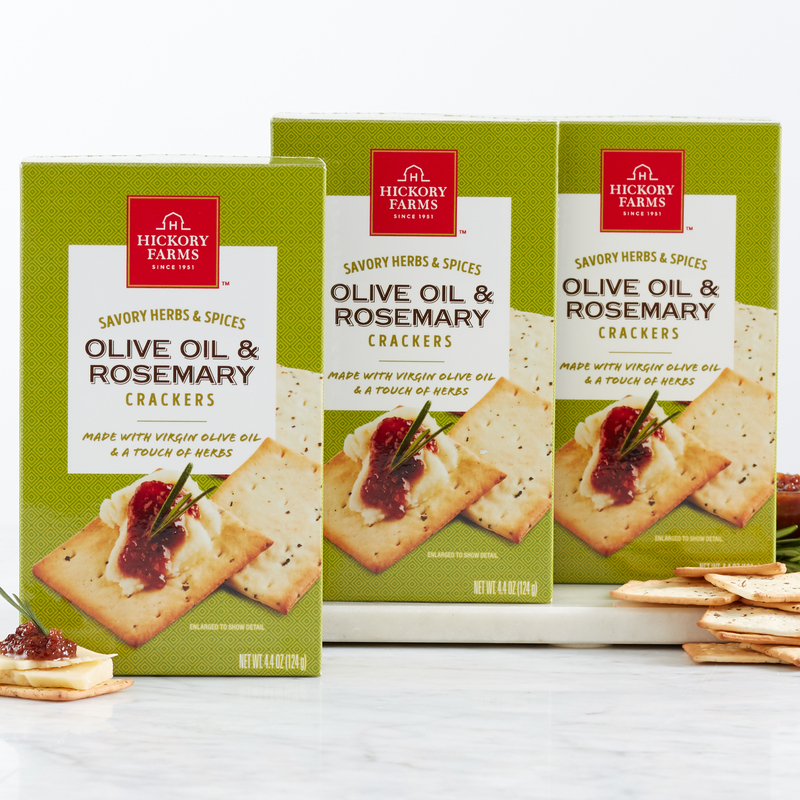 Flavorful but not overpowering, these Olive Oil & Rosemary Crackers are a light and tasty compliment to all of our signature savory flavors. Enjoy them with the award-winning flavor of our summer sausages or try them with our delicious, creamy cheeses. Snack lovers of any kind are bound to reach for these crackers again and again!